Those of us who enjoy hiking and backpacking on terrain with serious ups and downs are hard-pressed to find that on the Gulf Coast. 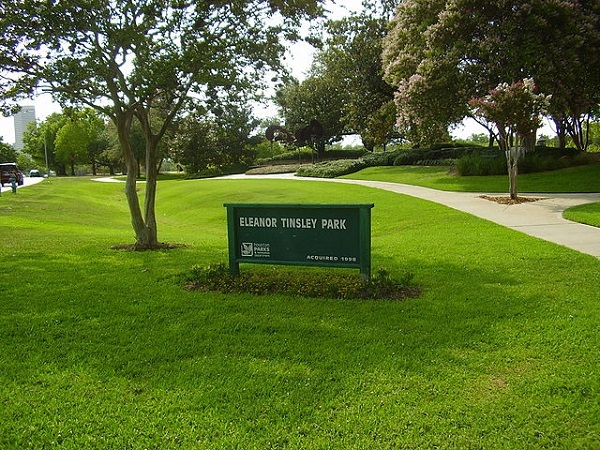 Thus "Elevation Training" was begat, and the stairs and hillsides of ET Park along Buffalo Bayou will suffice. We'll do about an hour of 6 minute intervals up and down the inclines this area affords, all within the shadow of downtown sky scrapers. This is at your own walking pace; we're not jogging or running. Bring H2O, esp. if its going to be warm - 'cause it can, even in "Winter," - and a flashlight or head lamp, as it will be "dusking" at this time. If you're backpacking this year, you can use this opportunity to wear yours while training. Start light, and load it up with each weekly session. We will aim to do this regularly into the summer. Gather at 5:15 in the plaza on Sabine Street in front of the Skate Park, (map below,) for a 5:30 start time. Reach me, Rick C, at 713 660-0365 with any questions/suggestions. Will cancel if it rains. 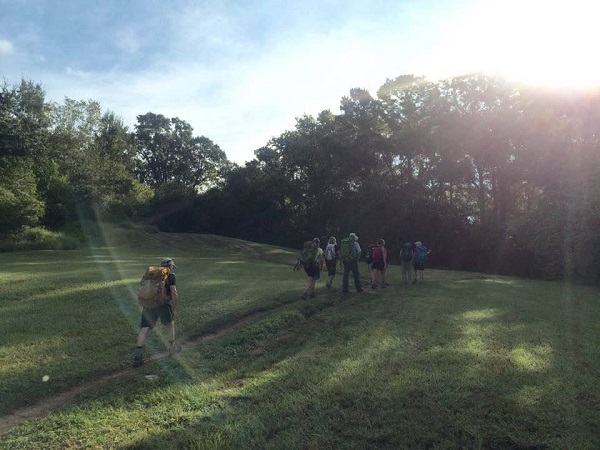 Event Summary: Hiking and backpacking training on the stairs and hills along Buffalo Bayou, downtown.